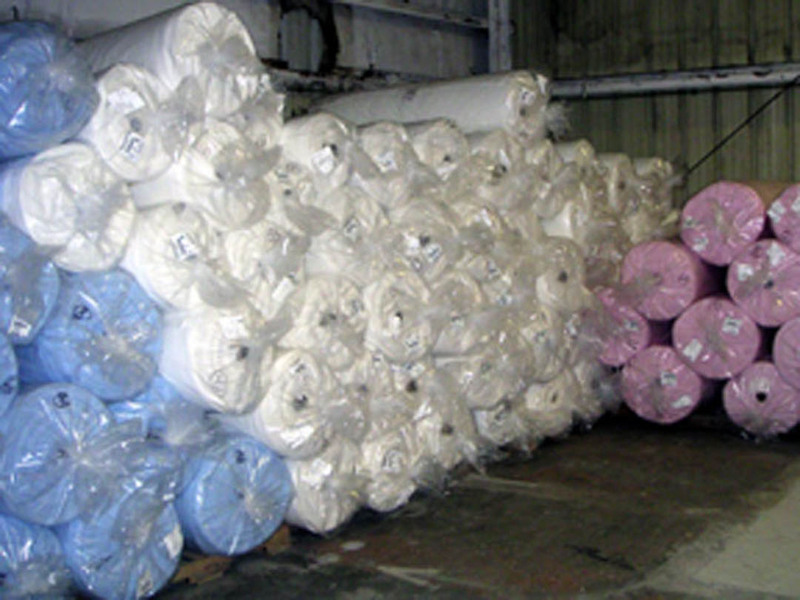 Rolls of fleece are delivered from mills in Canada & Massachusetts to our warehouse in Connecticut. 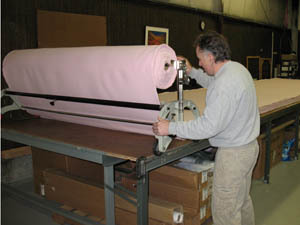 Dennis rolls fleece to be cut into blanket-size pieces. 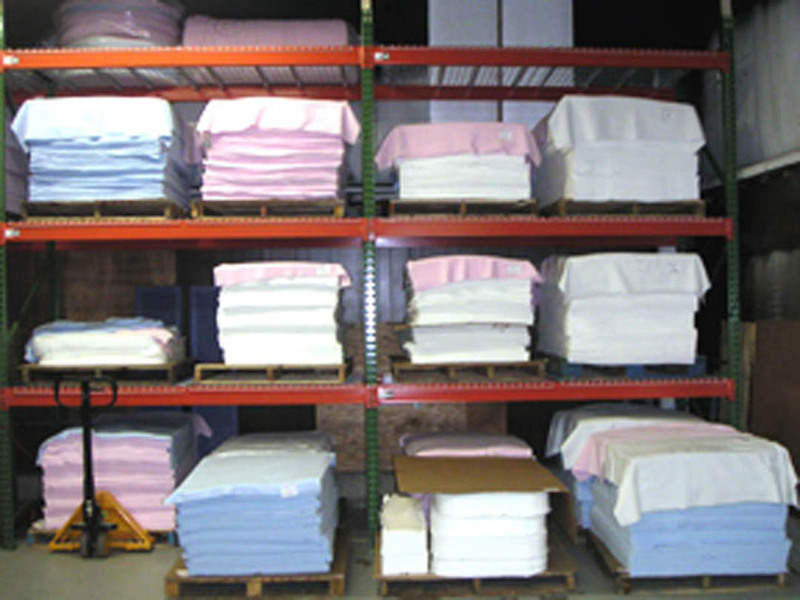 Cut blanket pieces are stacked on racks in our warehouse. 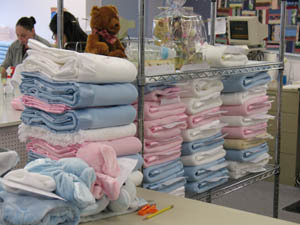 Ping sews satin binding onto the fleece pieces, making it into a crib blanket. 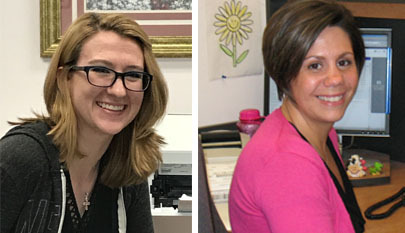 Abi (left), and Melissa, our Manager are happy to take your orders and answer your questions. 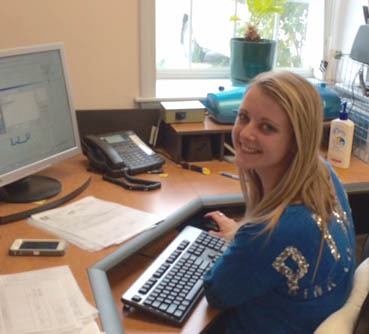 Marissa programs a baby's name and birth date to be sewn on a baby blanket. 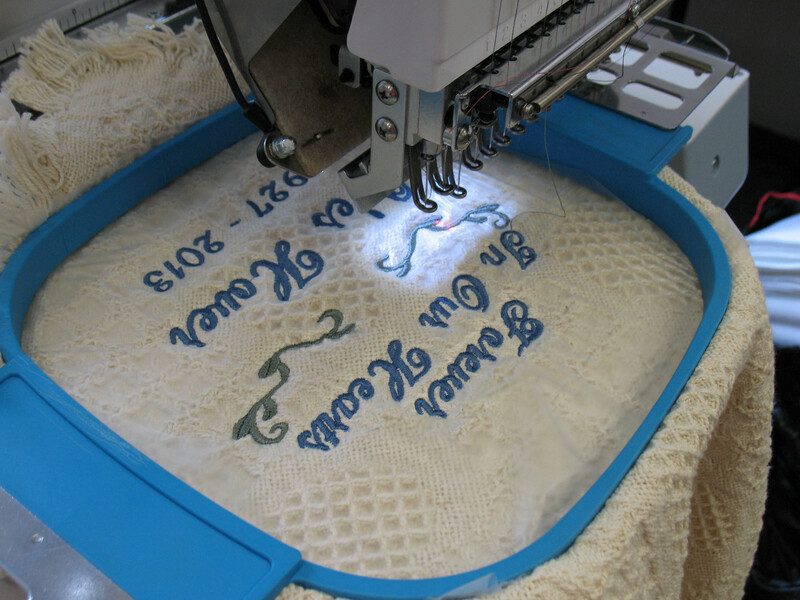 Here's a throw being sewn on one of our state-of-the art computerized embroidery machines. 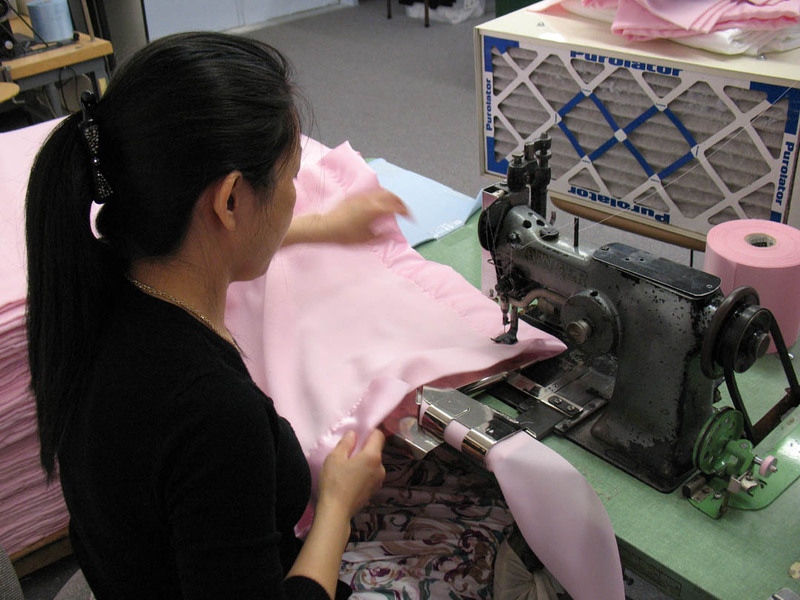 Threads are clipped by Yoko, who then folds and prepares each item for final inspection and packing. Blankets and other personalized gifts - ready for packing! 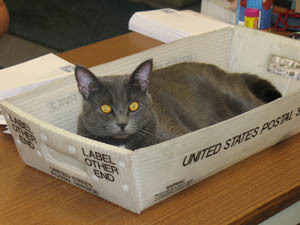 Amani our office assistant helping with a mailing.